I’ll admit, writing out detailed daily lesson plans isn’t for every ESL teacher. Some people think better when they are flexible about how their classes unfold. 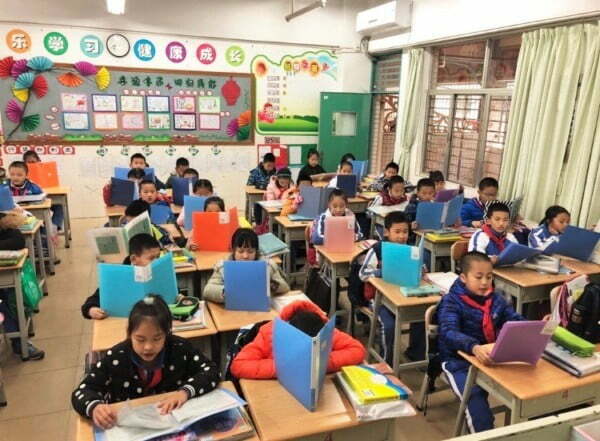 However, I encourage everyone to write out at least a few carefully developed lesson plans when they first start teaching ESL in China. Then, a few times throughout the semester, write out a more detailed lesson plan to ensure that you remember how to design your daily instruction.One of the most important things I learned during my year in China was that lesson plans aren’t about what I do—they are about what the students do. Lesson plans should focus on what the children learn, do in class, and even on what they do outside of class if you assign homework. Here are a few tips for creating lesson plans that will maximize your students’ learning. What is your ultimate goal for today’s lesson? Do you want your children to memorize five specific new words? Maybe you want the students to focus on listening or writing. Or they could improve their pronunciation. Your goal can focus on two areas: the target vocabulary and the lesson type. Target vocabulary is fairly self-explanatory. Different lesson types might include vocabulary, speaking and pronunciation, listening, or writing. Refer back to your goal multiple times while making your lesson plan to make sure you’re staying on track. It may be tempting to throw in some fun games and activities, but if they won’t help you achieve your daily objective, it’s best to save those for another day. Write down all the essential materials for your lesson. This way, you prepare everything ahead of time. You can also check your list before you head off to each class to make sure you have what you need. Inevitably, when I didn’t make a list, I would accidentally leave something in my office! Do you need to prepare a PowerPoint? You might want to download a song or bring props for students to act out a skit. You may need multiple materials for different games and activities. Think about what aspects of your lesson might give students a hard time, then plan accordingly. For example, when teaching my grade 2 students vocabulary related to clothing, I anticipated they would have trouble differentiating between “skirt,” “shirt,” and “shoes.” As a precaution, I built in time for an extra game at the end of class to help them match the words with pictures of the clothing. Another obstacle may be behavior issues. If you know a certain class has a bunch of rowdy children, factor in an extra five minutes to allow time for you to discipline and wait for everyone to quiet down. Always prepare a little more material than you think will be necessary. Some classes take about as much time to learn a lesson as you anticipated. However, another class may breeze through your 40-minute lesson in 25 minutes. Then what? Good thing you prepared a round of vocabulary bingo! Also, always be prepared for a “blackout lesson,” or a lesson that requires no electricity. Every once in a while, a classroom computer will break or the power will go out. Suddenly, your PowerPoint presentation and downloaded materials are useless. That’s when you run to your office to grab your pre-prepared flashcards, Pictionary terms, or coloring pages, while inwardly patting yourself on the back for being so organized!